This week I slapped on the suncream and trotted off to Santa’s Grotto – aka Christmas in July. Yes it’s summer – yes it’s weird to be thinking about Christmas with a sunburnt nose – but think about it we did at the annual launch event of the Christmas season “Christmas in July”. The event is an opportunity for members of the Press to see what retailers and brands are launching ready for Christmas 2018. Print magazines need to put their copy/content into the publishers which is why the event is done quite so early. 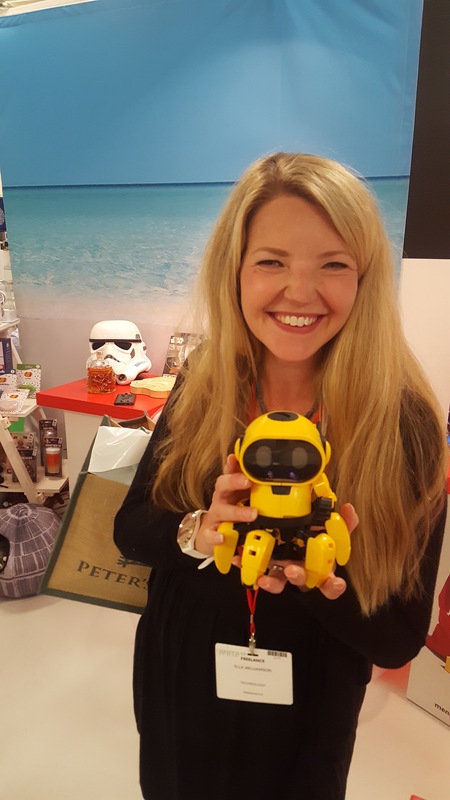 Don’t panic you don’t need to be shopping just yet – but I thought it was a lovely opportunity for me to share with you some of the great gadgets, gifts and games that could be on Christmas lists around the UK this December. Here are some of my faves. Robots and Artificial Intelligence (AI) continue to be big news this Christmas. But don’t worry they aren’t all great big Daleks coming to take over your lives – it’s really useful items like Amazon Alexas and cute little Robo-pets like Tobbie here. Tobbie is a great gift for kids, really helping them develop their STEM skills as they have to build the robot from the provided kit. Use your hands as remote controls to navigate Tobbie around the place (thanks to IR) or set him to explore and learn as he goes. 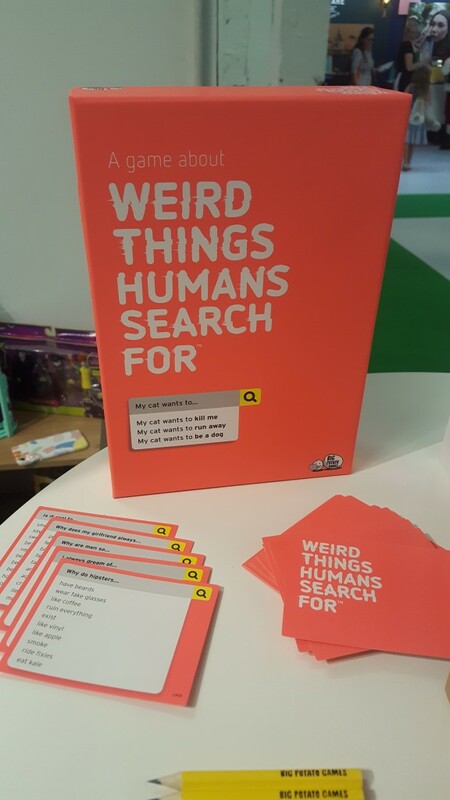 Search engines are wonderful things – but what are the weirdest things that we type into them? Well this board game has made the answer to this question into an entire game. It provides you with a phrase, such as, “Why do hipsters..?” and you as contestants have to come-up with the rest of the question, like “have beards” or “ruin everything”. The game provides you with the most popular search terms according to the internet and the higher your answer ranks, the better you score in the game. This is a gift for kids that is both fun and sneakily educational on the computer coding front. 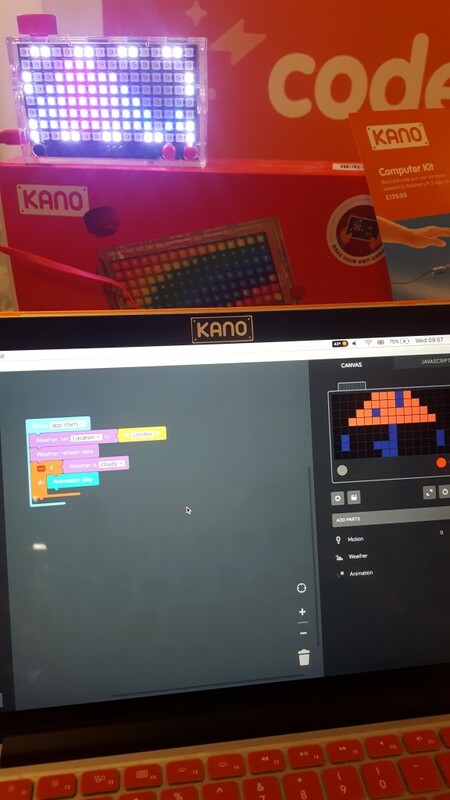 This pixelated light-box connects to your computer and you can customise its displays using code. You can paint with light or create displays according to different scenarios – for example the one we played with at the event was ‘display umbrella image if the weather starts to look dodgy’. Connectivity to the internet means that real-time weather information (in this instance) will update the fascia in real-time too. Coding and creativity combine. This toaster has “lust-have” written all over it (metaphorically speaking). 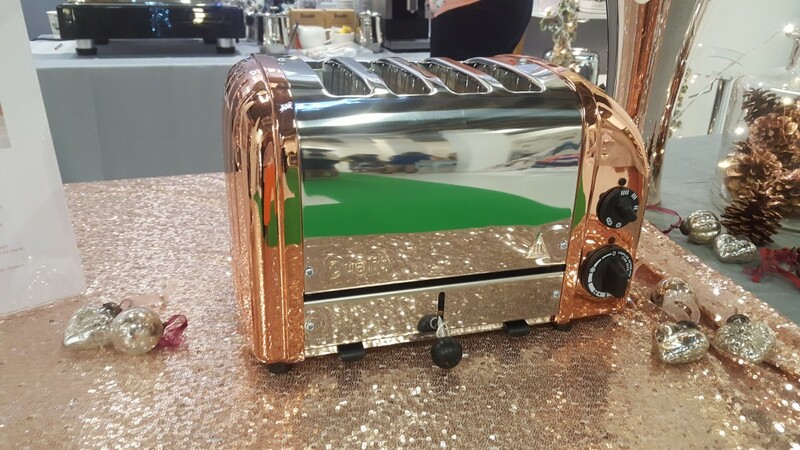 Key headlines are – 2 years in the making, stunning rose gold appearance, fabulous Dualit heritage and the toasting functions themselves are pretty darn good too (featuring bagel and defrost features). Pricey but pretty.